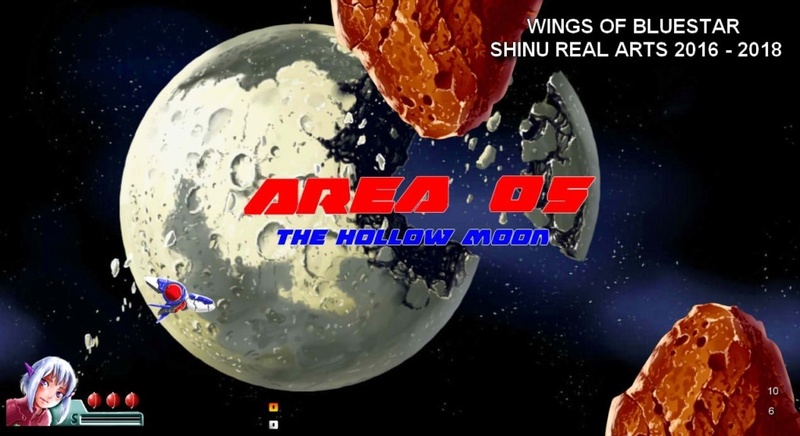 This is Shinu Real Arts and I'm an indie game developer. 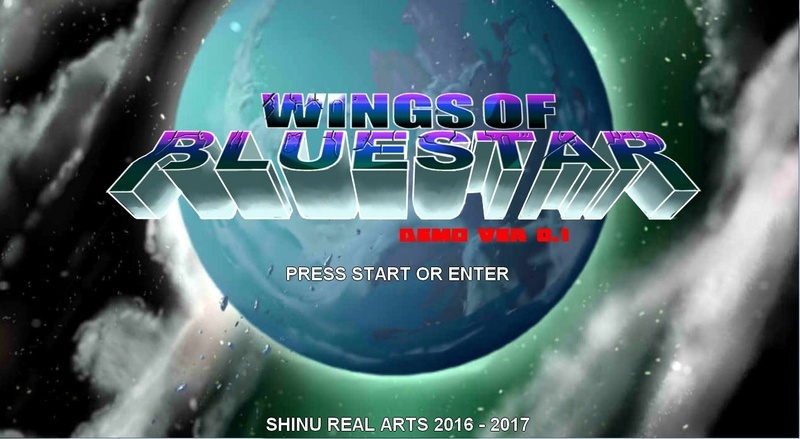 Here I present to you my actual and biggest project; Wings Of Bluestar, a 2D horizontal shmup in the style of 90s games on the 32bit consoles and on the Arcade. 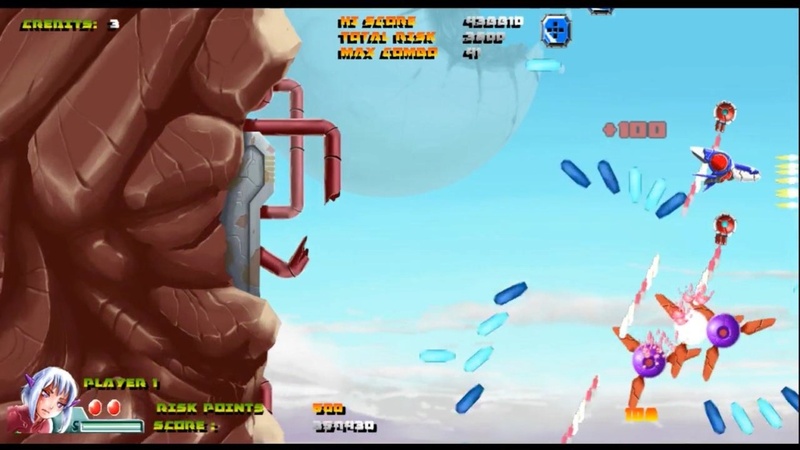 The game is in development for a year now and is about 50% done. A public demo is almost done and will be shared here soon. 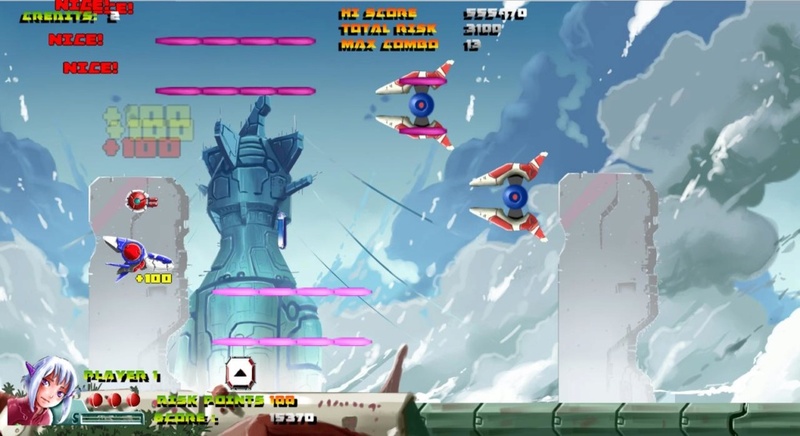 - 6 levels long, each level around 5 minutes and a boss fight. 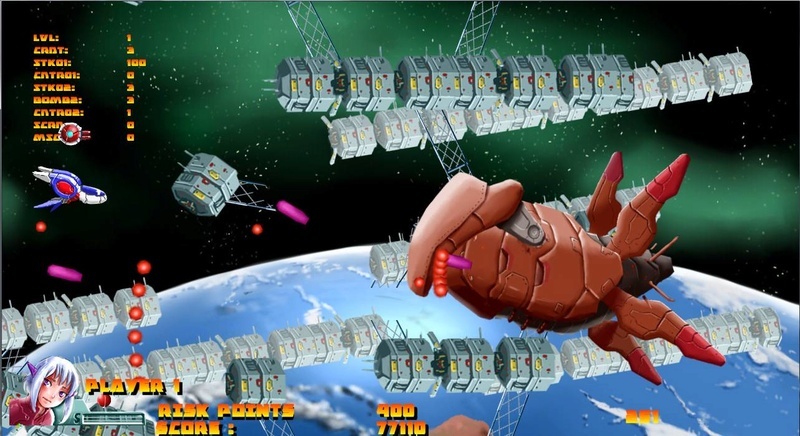 - Two player choice, each ship has its own mechanism. 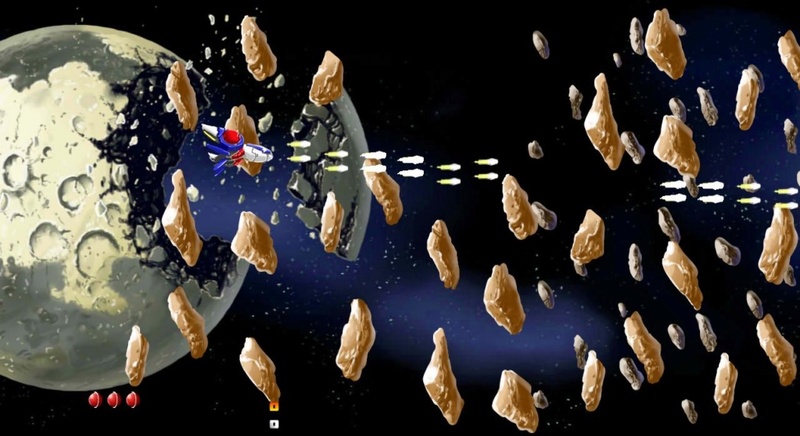 - Local multiplayer, 2 player. - Gamepad and keyboard support. 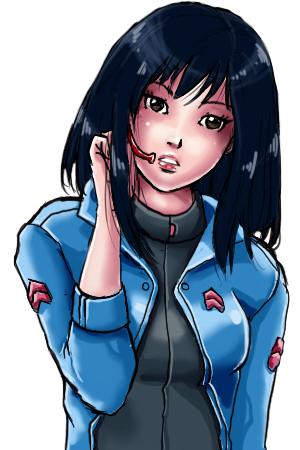 - Story mode, in the style of a visual novel between levels. - Complete first level + boss. - 4 arts to unlock in the gallery. - 3 Trophies to unlock. - 4 levels of difficulties. 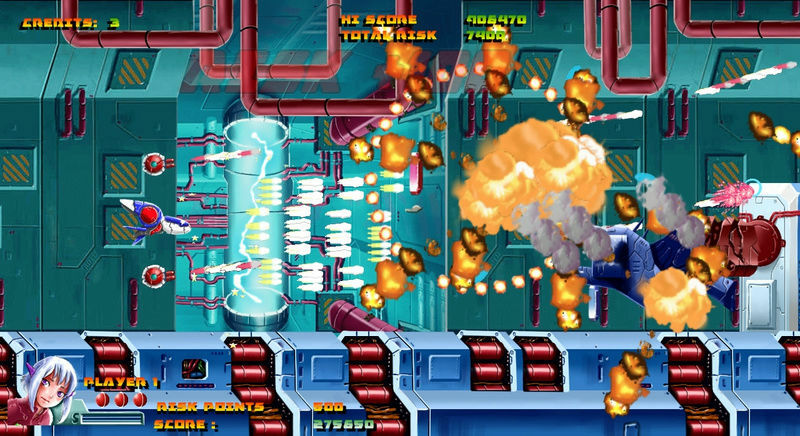 The game is planed for Steam as primary platform and needs another year in order to be completed. I hope that you guys liked the game. There's still a lot of work, especially for a one man team, and I'll try to make this game a reality. 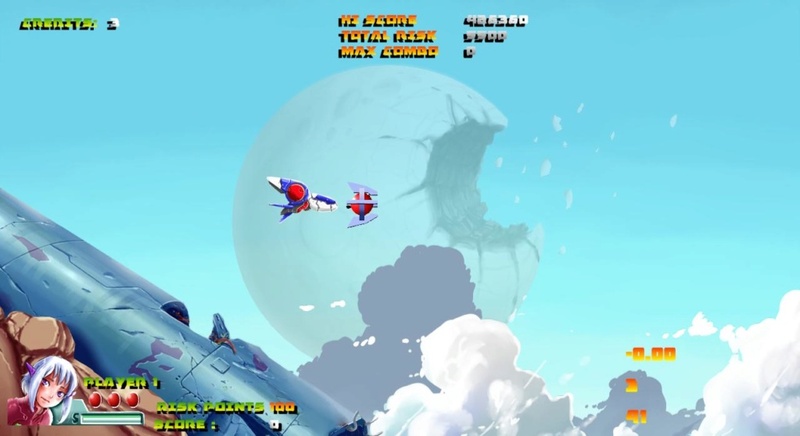 I'll keep you guys regularly updated and one the demo is ready, I'll share it here. I hope that I'll get a lot of feedback. Thanks for keeping with this long topic! Last edited by Shinu Real Arts on Sun Jan 13, 2019 2:45 pm, edited 3 times in total. I must say, it looks really promising. Is the music I hear also in the game? The cutscenes are really good. When you ruin some enemy, add to score points. 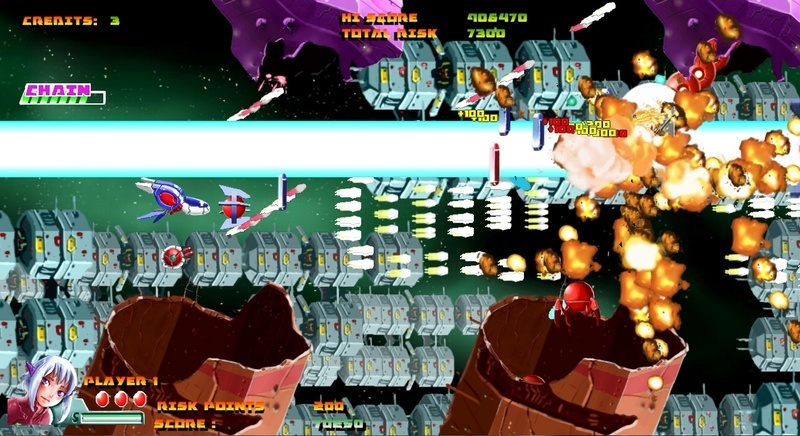 - I generally like the presentation, but overall visibility could use another pass, as I found myself losing track of both enemies/shots and powerup items in the busy background on several occasions...also, there's at least one spot where the foreground obscures absolutely everything, a big no-no unless it occurs when there aren't any threats onscreen. - On a related note, the warning signs for enemies approaching from odd directions seem uneven; sometimes they'd appear, other times I'd be blindsided. 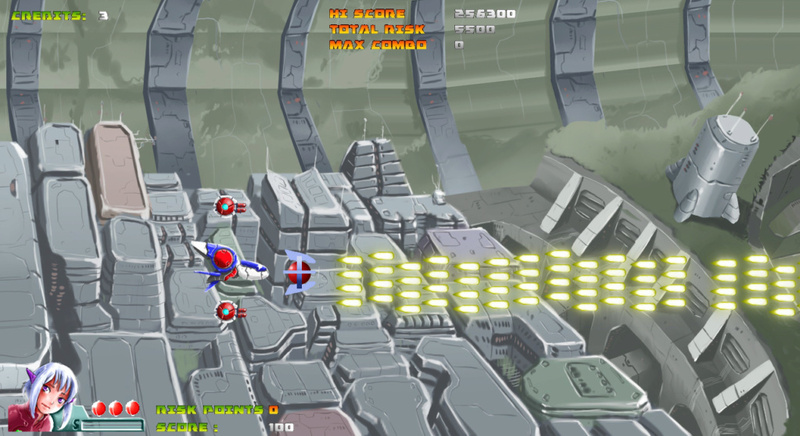 - Rotating the firing direction of the pods, at least using the triggers on a 360 controller as I did, feels a little finicky; I'd suggest control options which allow players to shift them between a couple of different "pre-set" formations, a la Battle Garegga, or at least a "reset" button to instantly reposition them firing straight ahead. Some promising elements, but I'd honestly need to know more about how the thing works and what additional content is available before judging much further. They are quite active there at the moment so they answered pretty quickly when I sent them some feedback. I agree with all of your points so they are aware of some the issues you have described. I don't know when you picked up the demo but there is an updated version of it now (Demo 1.0.1). Maybe it fixes some of the issues ? I haven't tried it myself yet. Scoring-wise, I don't think it is related to the stars and the risk points. Those are tracked seperately from the score in the HUD, and seemed to be used as an in-game currency to unlock stuff in the future full version. 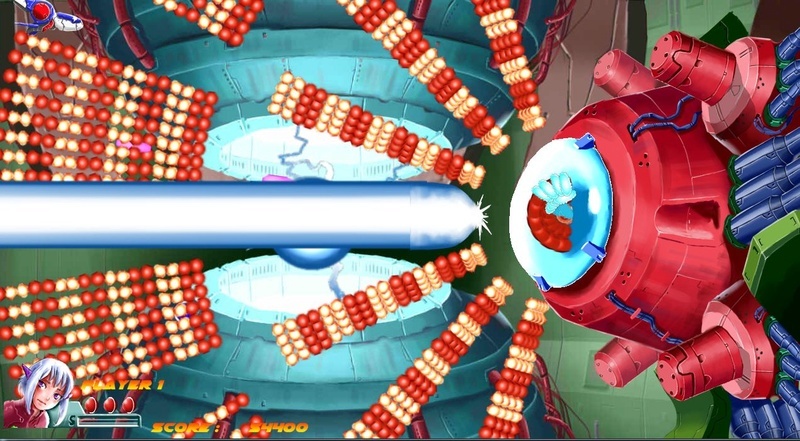 However, sacrificing your shield to launch a huge beam forward can generate lots of red jewels. Sorry guys, I haven't been active here due to the lack of interaction before. All my progress updates are on Twitter and my FB page now. 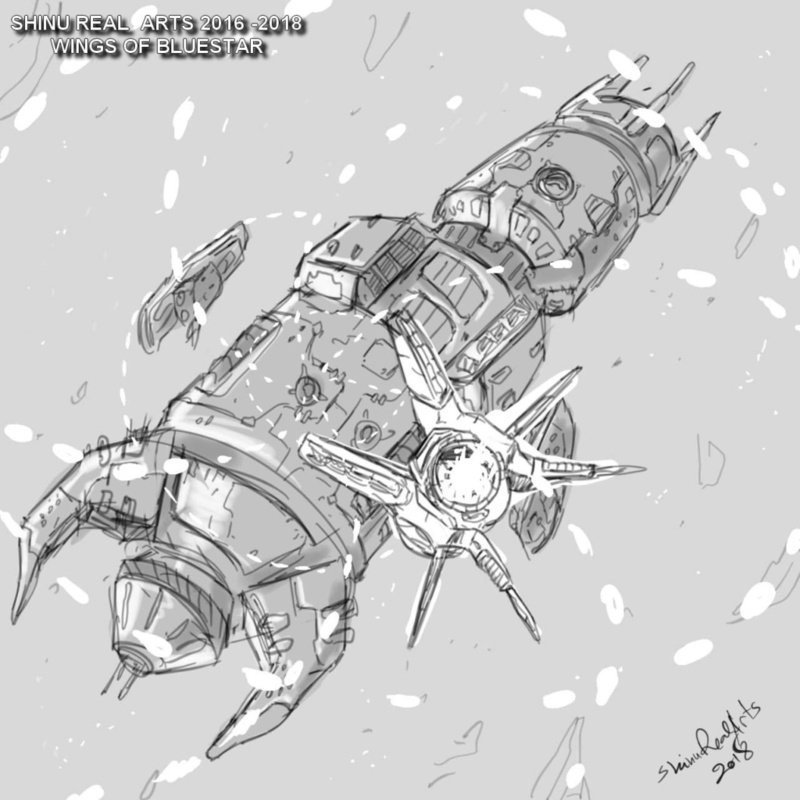 I gotta update my post here as well, and I have a lot; the game is already 4 stages long and we have a second ship. @waiwainl, Thanks! glad you like them. As for the controls, there are 3 presets in the options for gamepads: LT/RT, right stick (like a twinshooter), or X/Y for arcade stick users. Button mapping is planned for the full game. 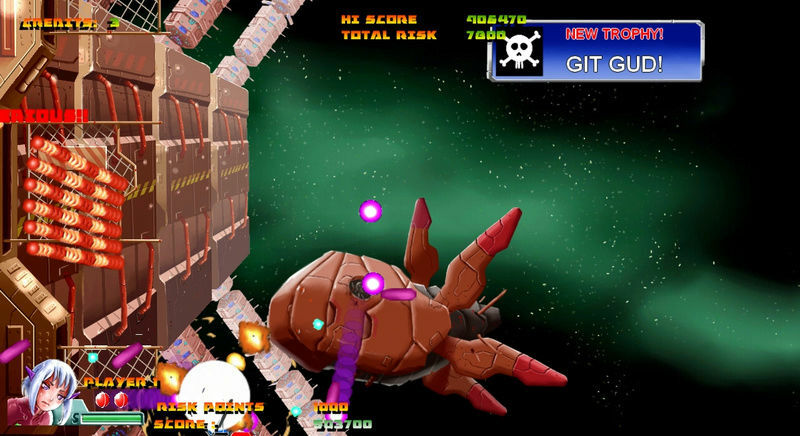 As for the scoring, you use the shield for the first ship, either by hitting enemies with it( risky), or releasing it (then you'll lose protection). The higher the combo, the more score you get. 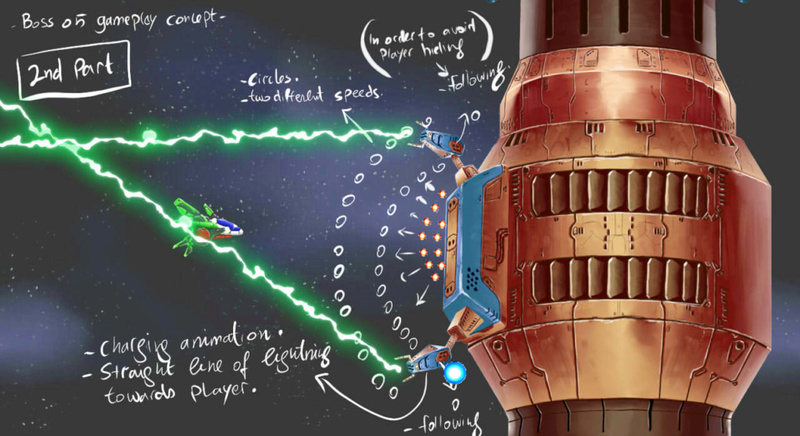 As for the 2nd ship, it uses a charging shot to score more points, but it's limited by a cool down. However, this doesn't work with bosses. Risk Points are just the in-game currency. @M.Knight, thanks for the feedback and forwarding the message to my twitter, really appreciate it. @schleichfahrt, thanks for the link! Since I've got some interaction here, it's about time to update this topic. And I have a lot of new stuff I worked on. Fist update is that the Kickstarter is live and 17 days left in it. sadly the game is only 10% funded. 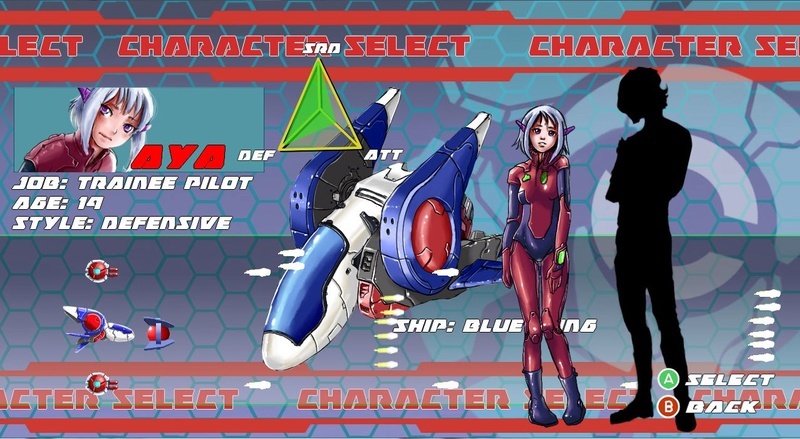 The game has 4 stages now and a 2nd ship: Altair, player: Zarak. 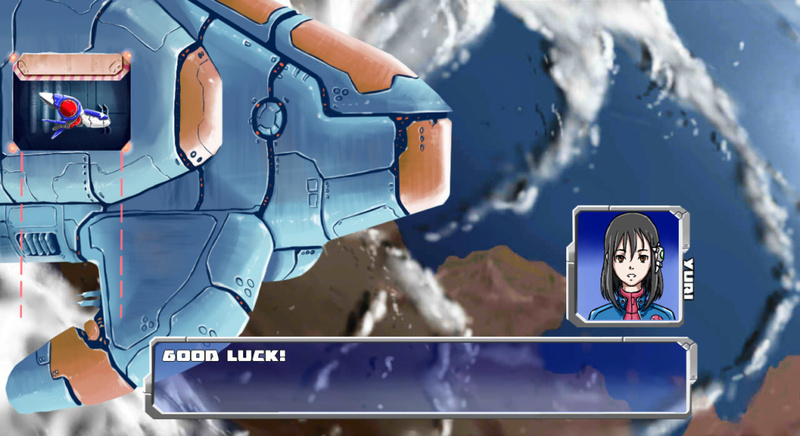 Right I'm working on some short intros for each stage, here's a screenshot for the one made for the 1st stage. A video to come when I'm done with the code. Alright then, time to go back to work. Don't forget to help us with some feedback. Well I'm back and I have some updates. Alright then, till next time guys! Hi there guys! long time not seen here. 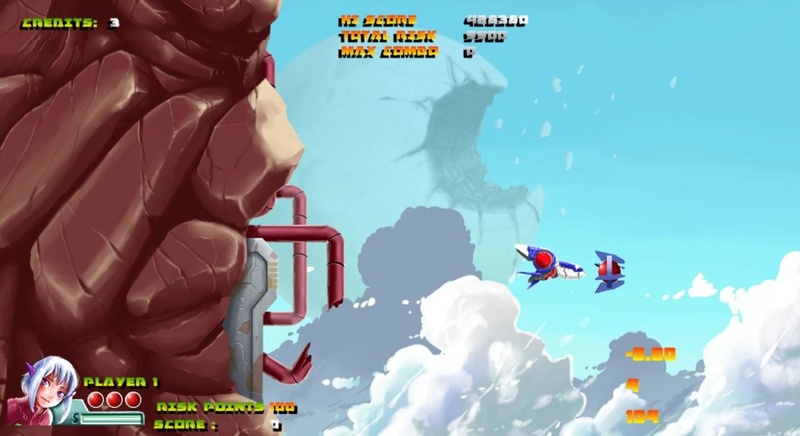 I'm still actively working on my game, it's just too much work to keep updating all those online platforms I'm in. We have a lot of progress so far. 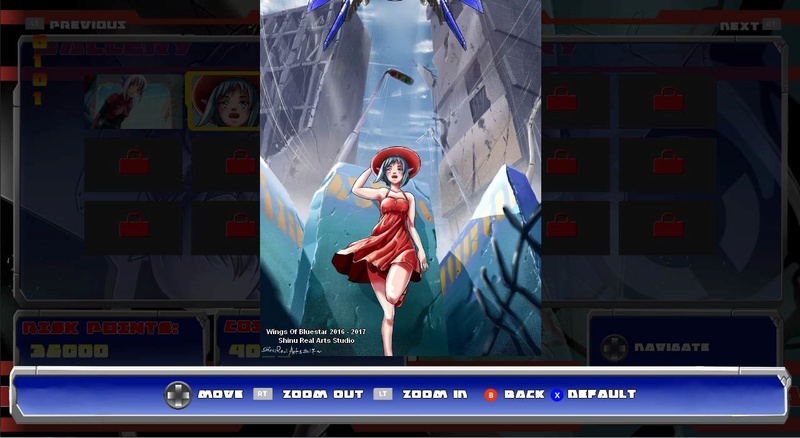 Major ones are the new menus, the 5th stage completed and the 6th stage's visuals almost done. Well, that's it for this update. I'll post a video of the new menu later. 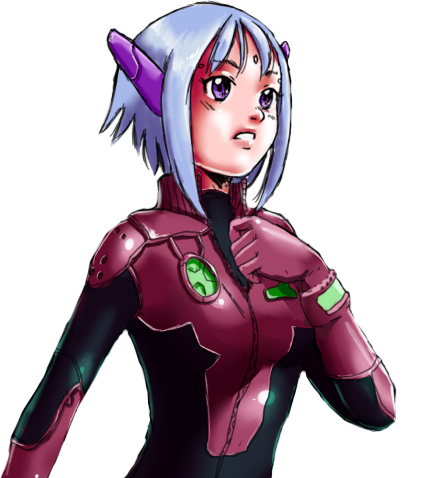 And I'll try to release a new updated demo as well. Last edited by Shinu Real Arts on Sat Dec 29, 2018 11:07 am, edited 1 time in total. Keep us updated when/if the new demo's out! For the info, the images you've linked don't seem to be working. Even if I try to directly open them in a new tab, I simply get a GameMaker forum error page. Sure I'm make sure to let you guys know. And sorry for the broken links, they worked for me though. I'll fix then then. And quick update on the 6th boss. 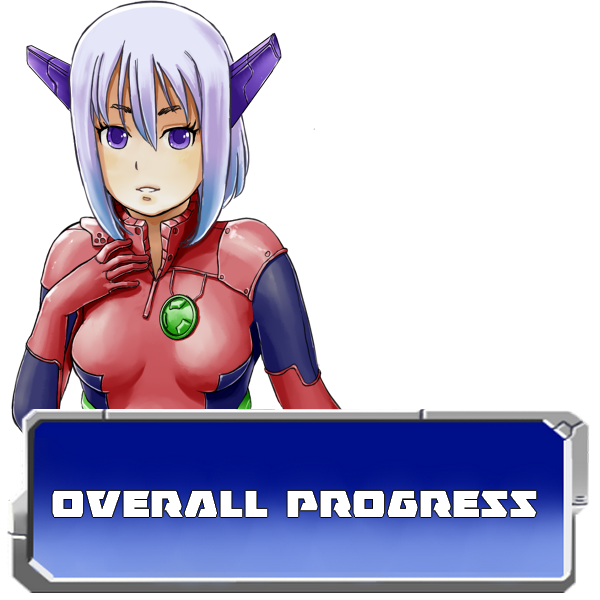 The assets are almost done and are ready to be coded. Hope you enjoy this little gameplay. Looking forward for the feedback! Promising stuff. 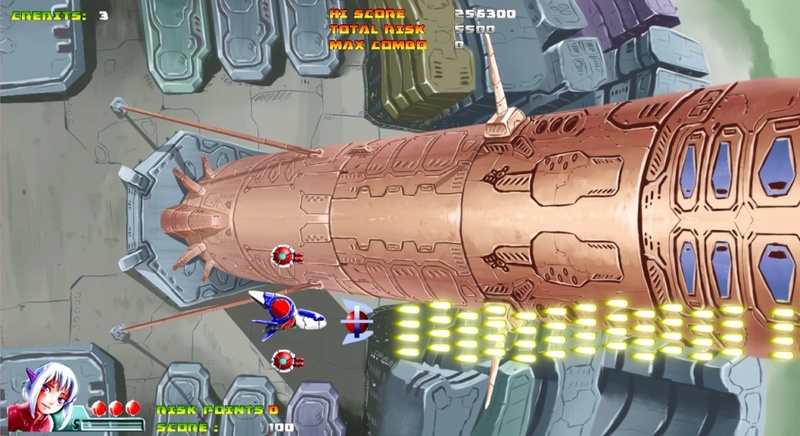 I'm a fan of R-Type -style of shmups, and this looks like it could tickle the same fancy. 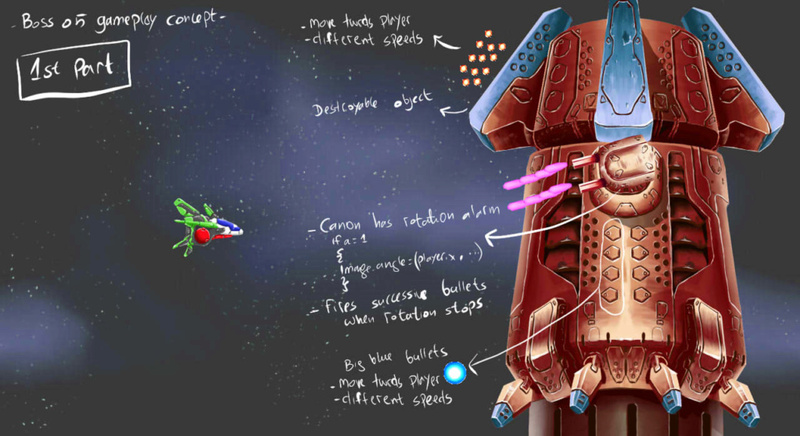 I like the turret system, it could lead some to really fun events if the stages and bosses are designed well with them in mind. 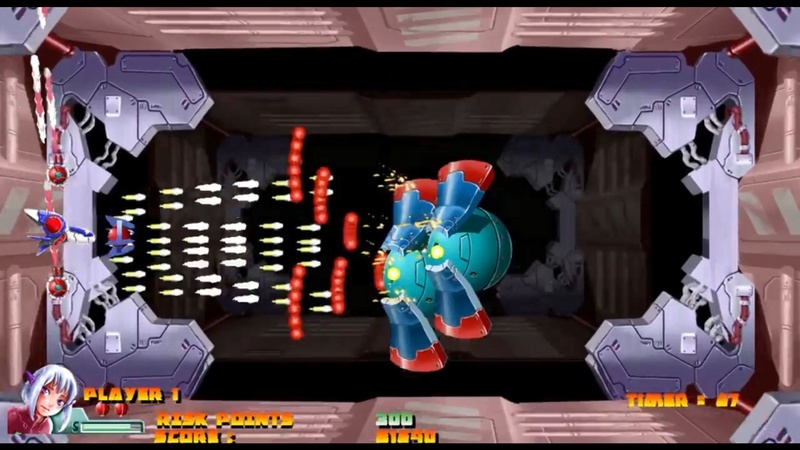 Enemies from all over the screen, environmental hazards that require careful turret aiming, circling around a boss to chase down a moving weak spot, things like that. I like the colorful graphics, but I wonder if they're too colorful and distract from the action? Especially at the end of the demo level, I had no idea if some debris parts were background or things that would hurt me, from visuals alone. Finding out with shooting them works fine, of course. I fear enemy bullets might get lost in the background easily. 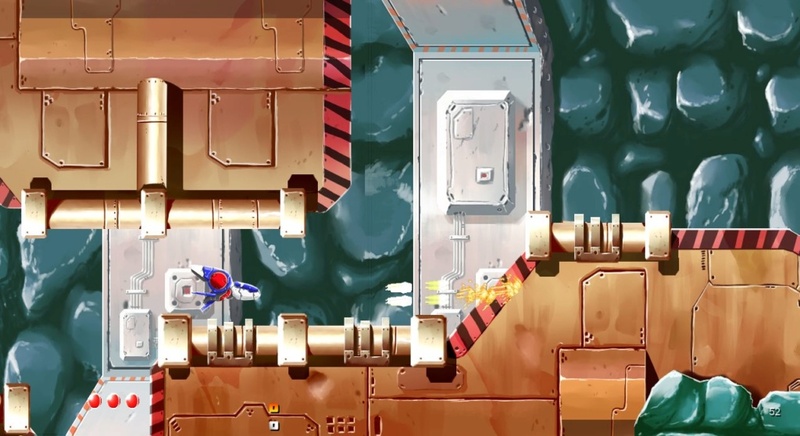 Related: early in the demo stage, when you've got those scaffolding things in the foreground and enemies coming from all corners of the screen, the foreground elements mask the enemies and their bullets. You've provided several options for controls, which is good, but having fully customizable buttons is always the best. When using the first gamepad config, I'd like to have the "reset turret" button elsewhere and everything else can be as-is. Using an analog stick to control the turret is fun too and that's a good inclusion, but then I'd like to have the fire button at a shoulder button and not the trigger. Not sure why holding down the fire button has to slow the craft down? 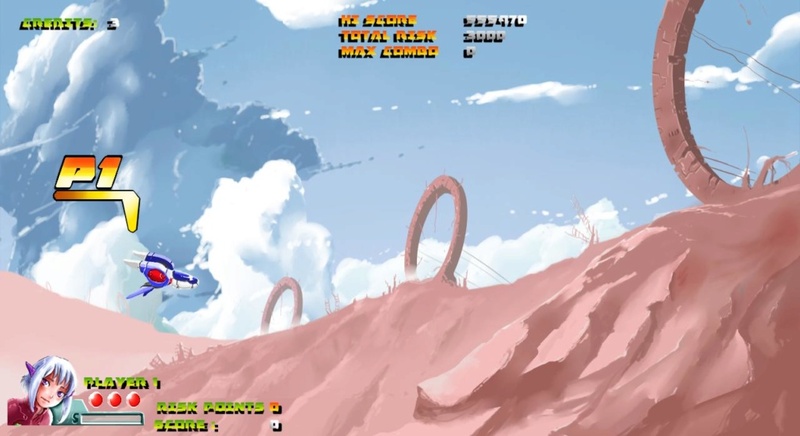 That's something more commonly seen in danmaku games, it felt a bit out of place here. Are the Risk points solely used as currency for unlocking bonus things, or do they have some in-game mechanic as well? If the former, the name is a bit misleading, I kept thinking it adds to rank or something. Found a small bug: If a turret is off-screen (because your ship is at the top/bottom edge of the screen) than that turret stops firing completely. 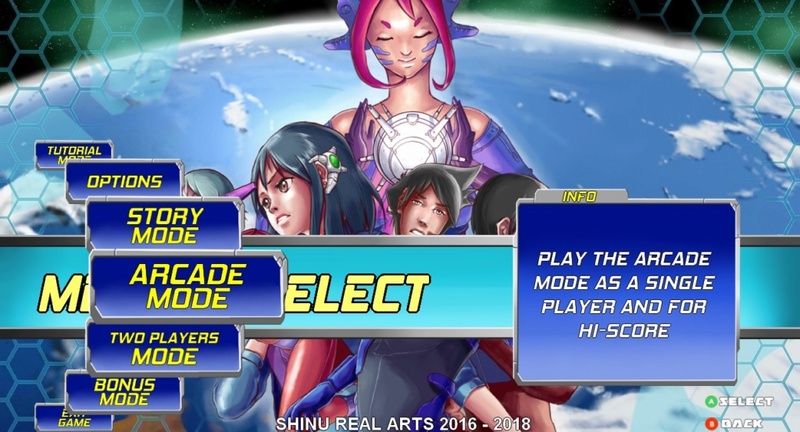 Small nitpick: The menu controls (as well as when viewing the bonus images) felt like they were reversed to me. Kept going up when I wanted to go down, and left when I wanted to go right. Overall, I think you've got a good thing in the making here and I'm looking forward to seeing how the project develops. Thanks a lot for trying the demo and providing me with this long and detailed feedback!! 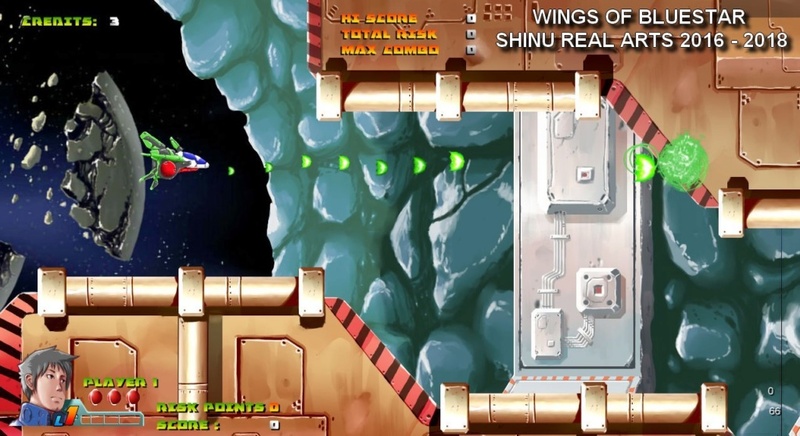 - Customazable buttons are planned for the full game. - Those foreground elements are still under consideration and I'm waiting for enough feedback on them so I either keep or remove them. 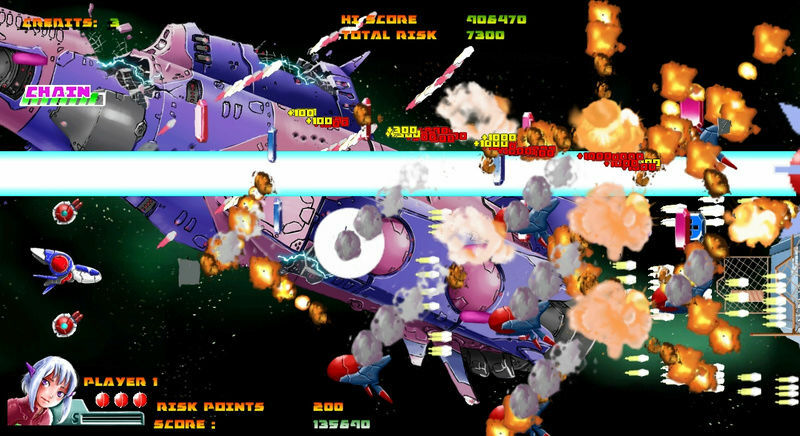 - As for stage elements and collusion, you already figured out, the game has a main rule; if your fire touches something, your ship will as well. 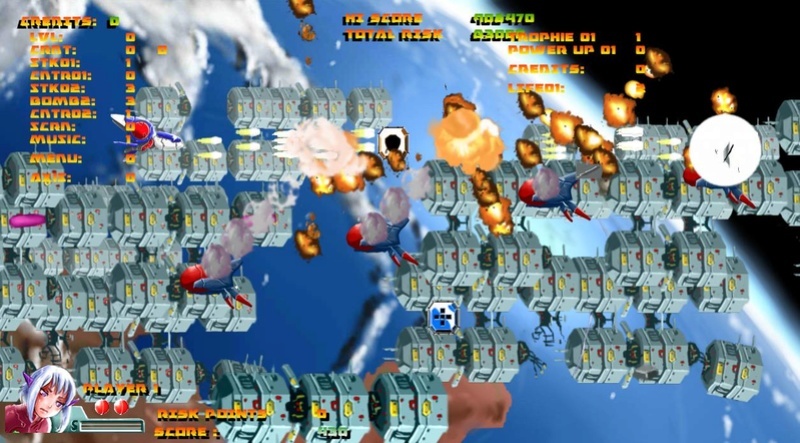 - Yep I made holding the fire button slows the ship down because in later stages the game has some bullet hell phases that needs precise control. - The Risk Point are just the game currency. But to get them, you either collect the ones you see or stay as close to bullets as possible to get some extras, but it's randomized. - As for the rest, it's an easy fix that'll be addressed asap. Thanks again for playing the demo! -Compared to what I remember from the previous demo, the main shot gets pretty powerful and the stage itself is quite easy as a result. And probably a bit too easy. 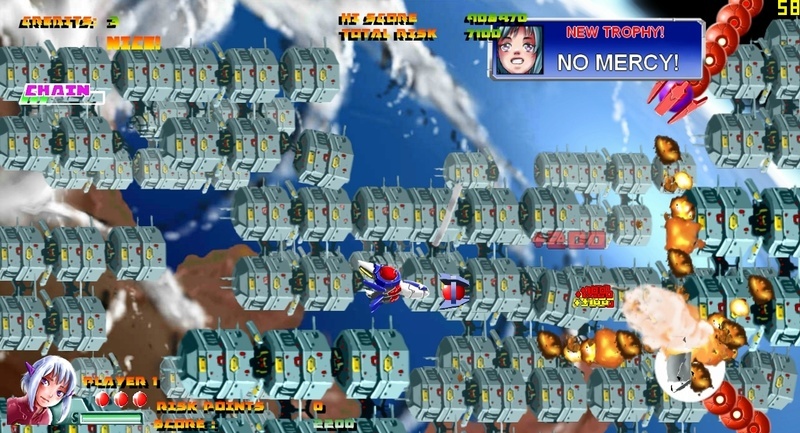 It's fine to have a short and easy first stage to introduce the player to the game and its mechanics, but here I am not sure the enemy formations can stay threatening long enough to keep me really focused on the action. 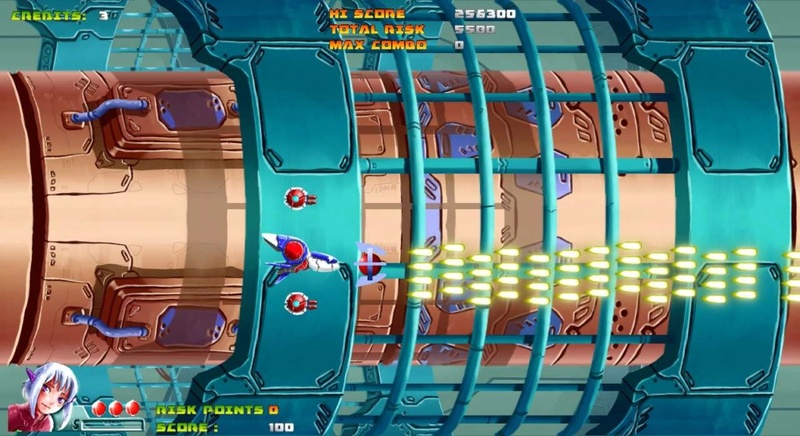 However, there are some moments with the big enemies and the snakes that can get pretty engaging when trying to go for score and throw the shield at the best moment to get the biggest amount of red gems possible. Maybe you can keep the difficulty level low but provide additionnal scoring opportunities here and there to make repeated playthroughs fun even for veteran players? The shield throw mechanic is an interesting one and it forces you to discard safety for the sake of score, which is what most good scoring systems do. On top of that the shield throw is quite effective and it's pleasant getting gems from it. It's also nice to see that the boss can be quick-killed with a proper shield throw. 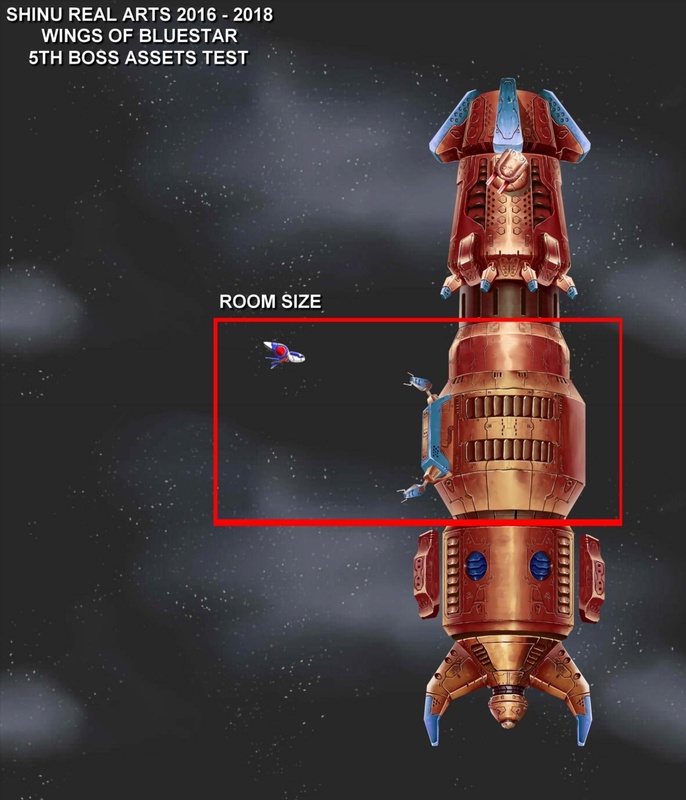 Anyway, when designing your stages, keep in mind the way the mechanic can be used when determining the shield bonus spots. -The enemy formations are not always too varied. 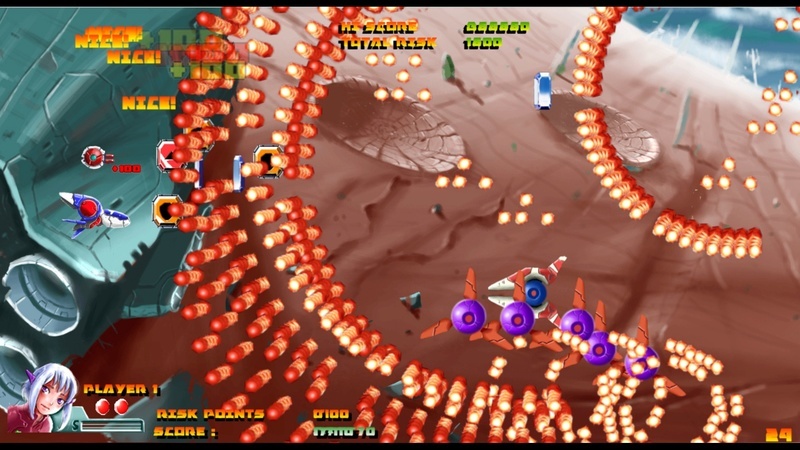 In particular, the waves of single red enemies coming one after the other from the right side can be easily destroyed and are not as tricky as those with enemies coming from all corners for example. -Are the diagonals normalized by the way? I think I move faster when moving diagonally. -The heavy screenshake while playing is a big no-no IMO. If you want to keep it, consider a setting to adjust/disable it. -The music doesn't really fit the atmosphere for me. I can't explain exactly why, but it doesn't strike me as something that matches a sci-fi/space setting. 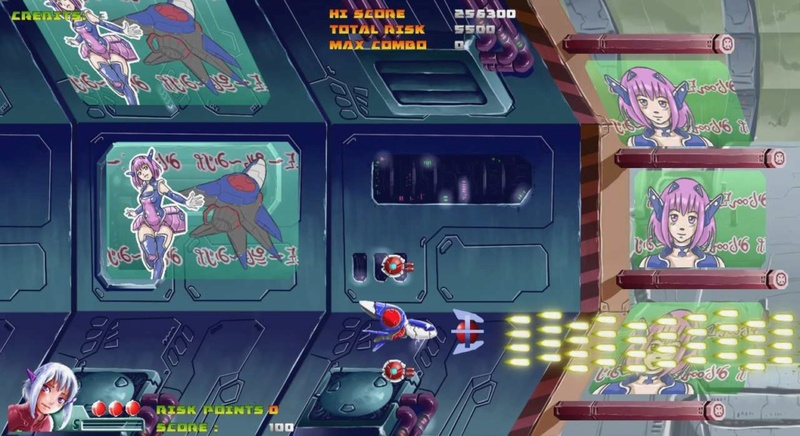 -Some background elements look like foreground obstacles, most notably right before the boss. It's nice that you can determine whether they are dangerous or not by shooting but I think you should already be able to tell from a glance. Simply toning down the colors/brightness might help a lot already. 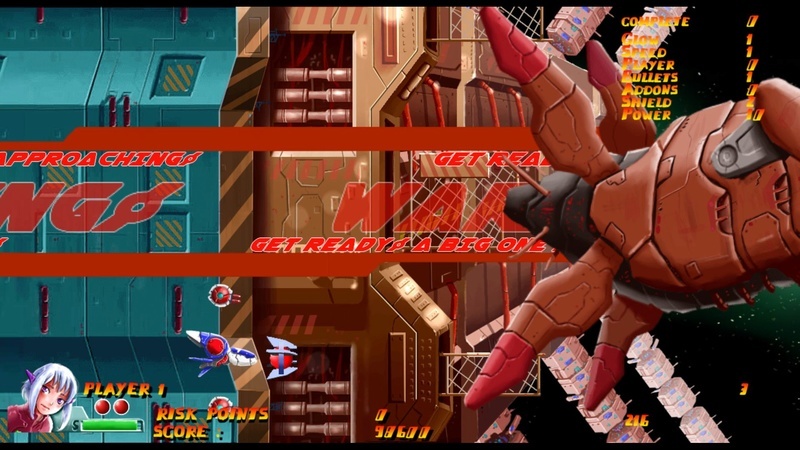 -The actual foreground elements that obscure bullets and enemies are not something I am a fan of. If you die to it, it doesn't feel like it's your fault, but more like the game unfairly killed you. 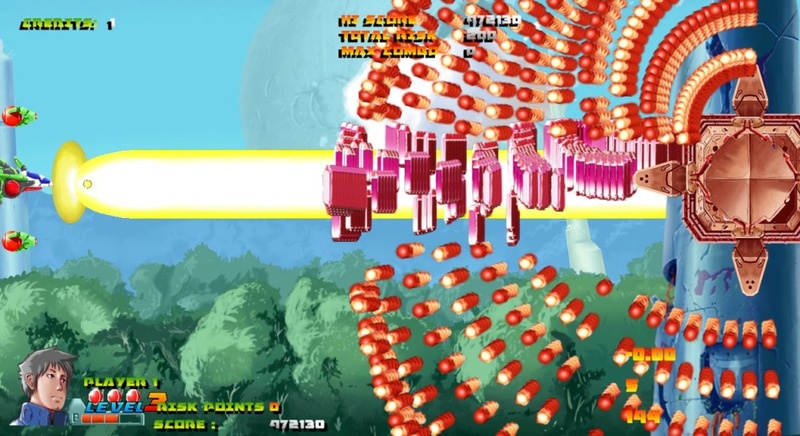 -If the on-screen bullets are canceled when killing the boss, you should provide a visible lifebar so we can easily deal the finishing blow at the optimal moment, instead of having to guess. And good luck with development! Hi there! thanks for trying the demo. 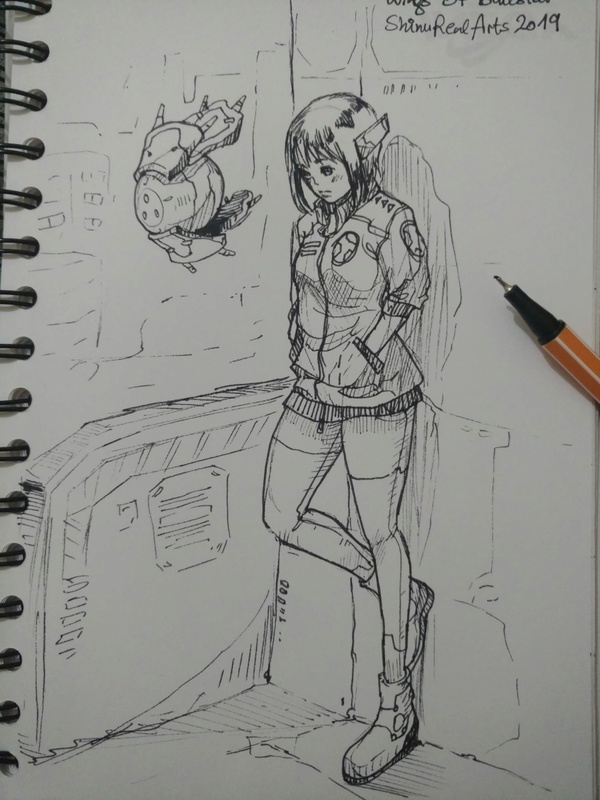 I'll make sure to note down your feedback and work on it, really appreciated. 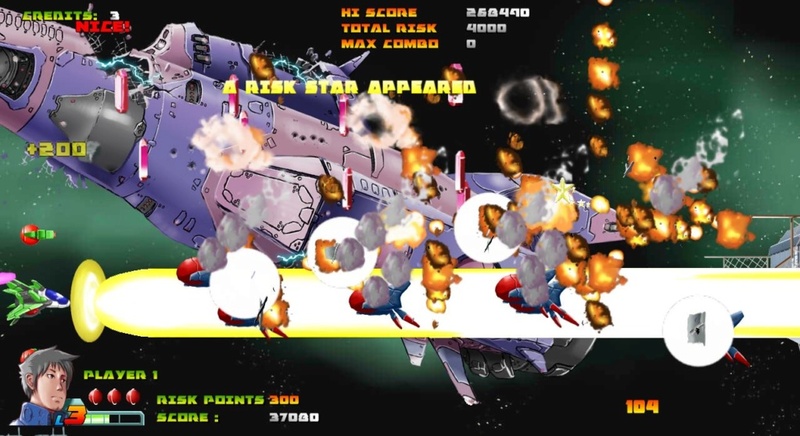 - I haven't changed the fire power of the ship, but made the game easier on normal difficulty because a lot of people nt familiar with the genre complained. 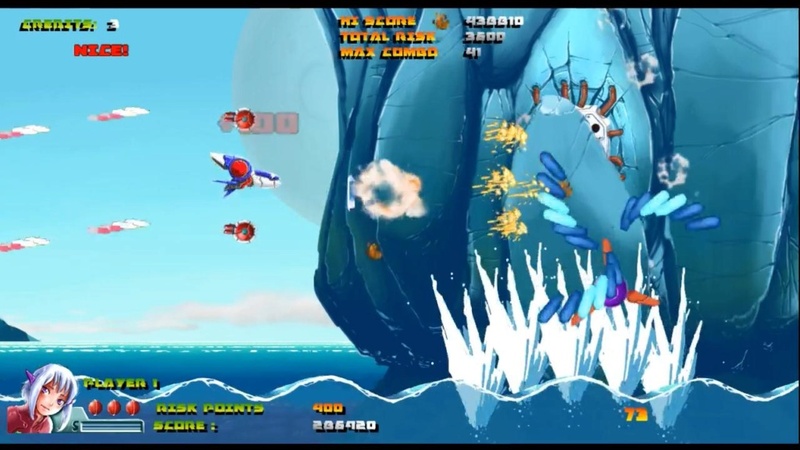 For shmups fans, they can just put the game on hard or very hard in order to have a challenging playthrought. - I'll be working on those diagonal movements if I get more feedback about them being faster. - Screenshakes going to be optional. - Obstacles that you'll collide with are always accompanied with an alarm. And as you've noticed, your ships fire can tell you about them. The are fatal even for small enemies. 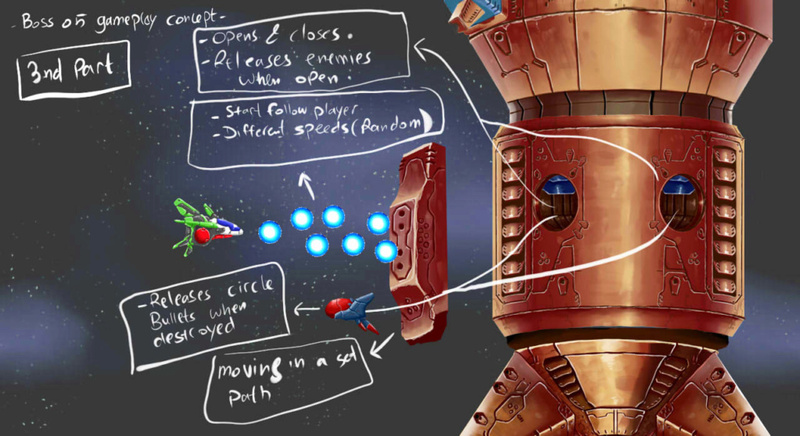 - The moving foreground pillar are still in consideration and I'm gathering feedback on them. 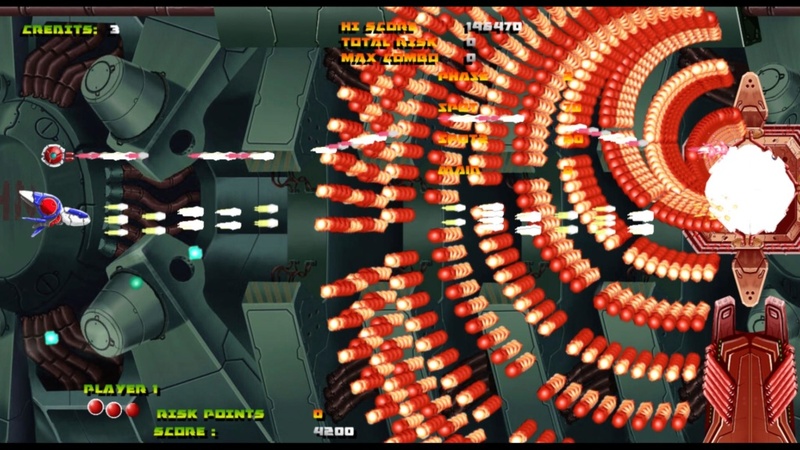 - Yeah I'm considering a health bar for bosses. The effect and duration of the shield is unclear. Three keys to spin the side pods are between 2 and 3 too much. 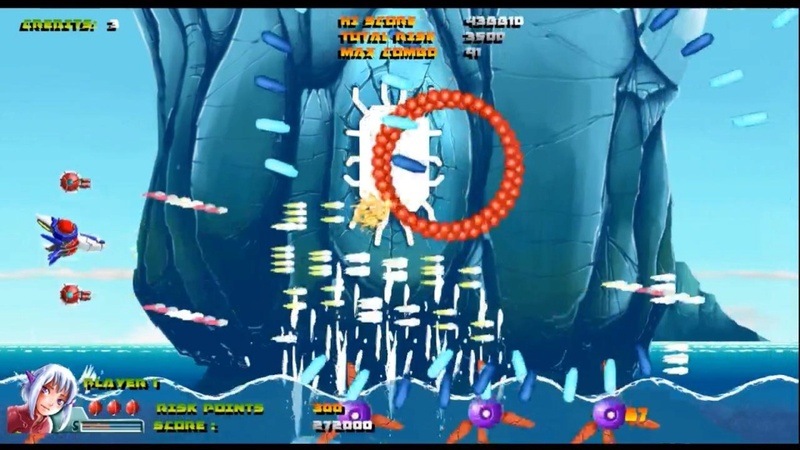 I second the suggestion of using more side pods in interesting fixed formations, which can include various spinning modes, with one key to switch formations cyclically. 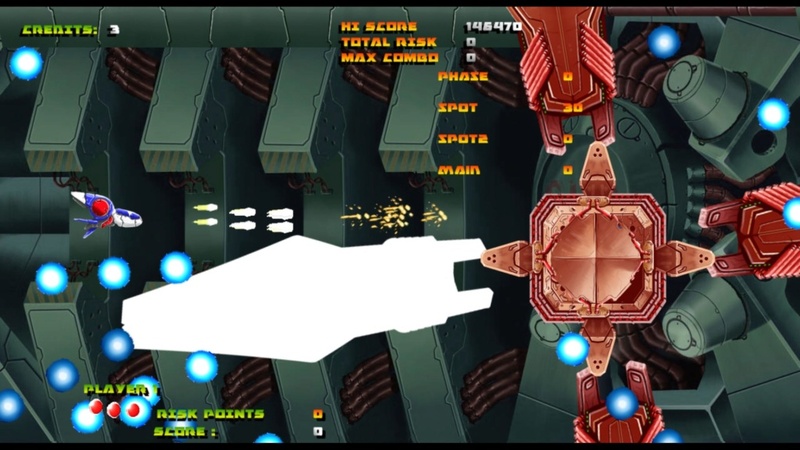 Fairly useless front pod; if it looks like R-Type, the average player expects something at leat as interesting and deep. 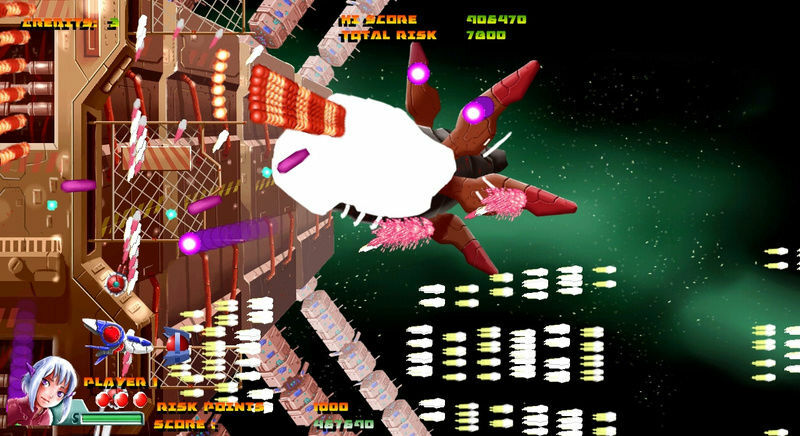 - Huge and vague hitbox: It's the opposite, the player ship and enemy bullets have a small hitbox in their centers, like bullet hell game. 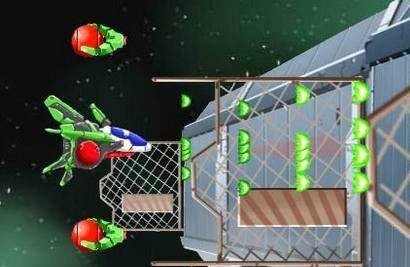 - Boring easy: Many people complained about the previous difficulty, play "hard" or "super hard for more challenging gameplay. 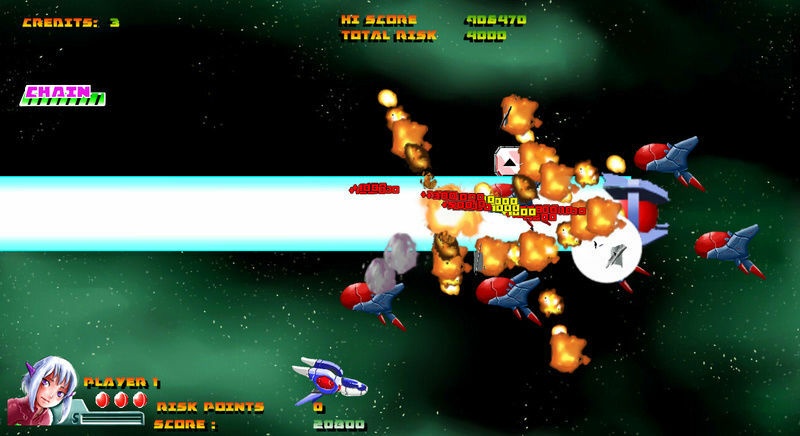 - Unusually coarse and limited upgrades: the ship has 3 fire powers, not one. And the game doesn't have weapons, that's the design. 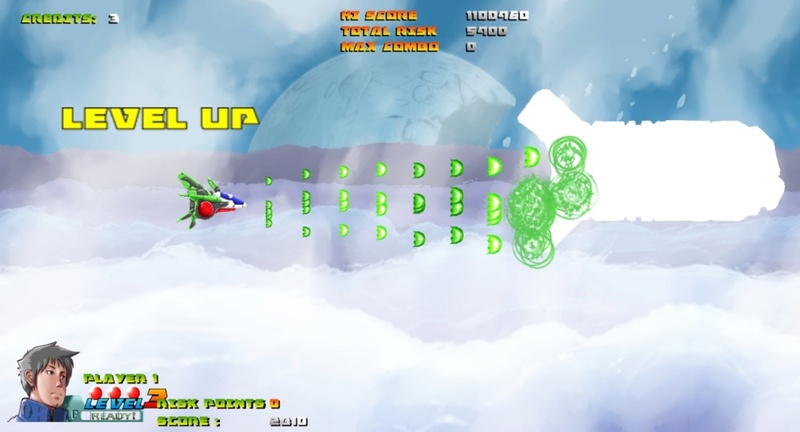 - The effect and duration of the shield is unclear: the green HP bar that appears on the player icon when you get a shield is the shield's HP. It can take up to 10 hits. The shield is used for protection, scoring and as a super attack. 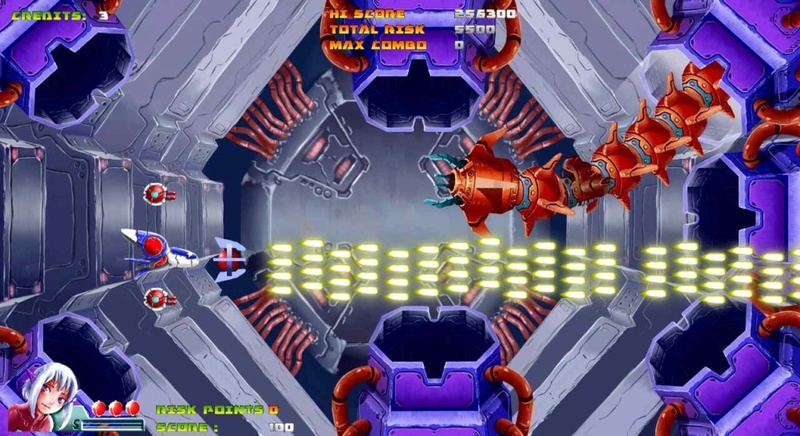 - Fairly useless front pod; if it looks like R-Type, the average player expects something at leat as interesting and deep: it's normal; this isn't R-type. Alright then, that was it for today. Take care everyone!